This elegant tin canister has an insider lid as well as an outsider cap. 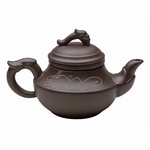 It is design to keep your tea fresh by preventing exposure to moisture, light, air and odor. Size: 2 3/4" dia x 4 1/2" ht. These are great tea tins and are air tight! They would have received five stars if they were stackable. I would like some tins about 1/2 this size to fit most of my loose teas, and I think square ones would take up less cabinet space. These are fantastic for preserving freshness and you can't beat the price! I have hunted all over for a small double lid tin canister for my teas. I found it here! They are a great size. I started out with 6 and now I have 12. These look so good on my counter and they are perfect for storing loose tea. I love them. this little canister, perfect for my little shelf, holds my tea wonderfully well...can't ask for more. sent securely and speedily and I thank you very much. These canisters have a great seal and are a perfect size for 4 oz. of tea (of course, some teas take up a bit more space, depending on the leaves). Double lid to seal in freshness. High quality and well worth the price. I really like these little tins. They're a bit larger than the ones I got from a competitor, but a lot less expensive. I like keeping multiple teas on hand, so I've been thinking about getting another set of these tins the next time I place an order. 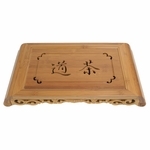 Holds my favorite green tea and the double lid provides extra flavor protection. Could be a bit bigger, but it's easy storage due to its small size. They are of convenient size and seal well. Perfect small tea canisters! Very cute to leave out on kitchen counter in my tea basket holder!! Even airtight lid! Will buy more as gifts and for myself !Much more reasonable price than at other tea sites! Best to store your teas in dark cool places and this works well. 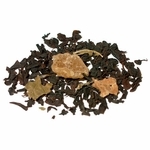 When you want to share your loose leaf tea, this is perfect to use for a gift! I can't see spending the $10 teavana wants me to spend every time I go and get their loose tea. So, I looked online, found these and they are perfect! Very tight seal, love these tea canisters. The tin has mare space than I imagined and keeps my tea fresh. It comes with a tin cover ( which has knb on top for easy removal) in addition to the top. I love these tins a will be ordering more. They are great for mixing your teas. Reasonably priced tins with a double lid are perfect for preserving freshness of small amounts of expensive tea (up to about 4 ounces). I buy many flavors and types of leaf tea. I purchased a dozen of these containers to keep them frech. I label each one with the peel off label that comes on the tea. This way I can locate and enjoy which ever one strikes my fancy. This is a value buy. I just rec'd my 3 canisers in with my other orders and i just luv them soooo very much!!! i like the tight seal of the 2nd lid to keep the tea fresh!!! Will see if its true; in due time. I believe it is i just luv these canisters. And thanx for free tea sample what a beautiful little canister u put the tea in. Thats a keepsake. I love these little canisters. I don't buy in very big bulk right now so they are the perfect size, and they have double snug fitting lids to make sure my tea stays fresh. Just got these. The lids seem tight and the size is nice for my needs. I am still figuring out which teas I like so I tend to buy only 2-4 oz of loose tea of a few different varieties. So far, the cans have held each of the 2-4 oz quantity of loose tea quite nicely. The price is better than any I have found on the internet so far. I personally prefer tins to bags. Watertight and possibly airtight--the second lid is exceptionally secure! These are by far the greatest cans for storage o teas. I love them and bought a second hald-dozen. These are really nice, I wish I would have ordered more!! Perfect for keeping tea fresh. Decorative tin for storing loose leaf tea. I really like this tin. 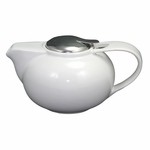 The double lid ensures fresh tea for long periods of time. Affordable, too! I had purchased more of these since I liked them so much. The double lid canister is very secure and I love to open it and smell how fresh the tea remains each time! I like the soothing color green on the container. 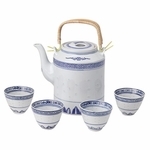 I wish that these Double Lid Tin Canisters came in larger sizes and maybe without the Logo and tea pots as pictured. Very nice inexpensive tin. The double seal is great. It would still be a nice tin at twice the price. I'll be buying more for sure. Perfect size & a tight fitting interior lid, made of metal instead of plastic. These are better than the Teavana tins that are more than twice the price. light weight, well design and reasonable price. I ordered this canister to hold tea (suprising, I know). I ordered this with the lemon grass chai, and it easily holds 4 oz of that chai. I like the fact that it does have a double seal, and you can hardly argue with the price. It looks just like it's picture, so you know you get what you order. Excellent containers for keeping your tea fresh. They are airtight and light tight, plus the tins are a pretty green. 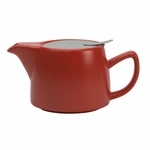 I ordered 3 of these tea canisters for my loose teas. 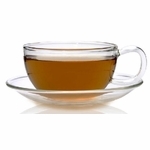 They are the perfect size for a reasonable quantity of tea, the double lids do an excellent job of keeping the tea fresh, and they are very cost effective. I will be ordering more of these, now that I know how ideal they are. Thank you! Even better than I thought they would be! Going to buy more. These are pretty much the tea tins that you should get. They do what they need to, and they are cheap. I don't mind advertising the logo if it means saving money. 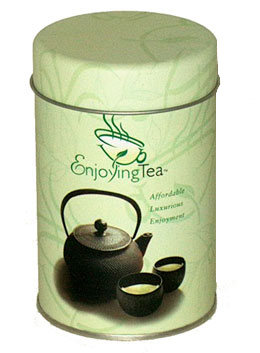 I highly recommend this tea canister it is air tight which keeps moisture out and keeps the tea fresh. Those has been; by far, the best tins I've ever found. The two lids that come with them are absolutely amazing, keeping my tea fresh for a long time. I absolutely love them and planning on ordering more. Definitely will recommend this tins. Should make bigger ones like this ones!!!! Lift off the lid and there is another air tight lid inside! I like a variety of teas and these tins are perfect to hold a few ounces of tea. Plus the price is GREAT! I searched all over and I'm so happy I found these tins! Very high quality. Plan to purchase more of these canisters. They are the perfect size for my 2-4 ozs of loose teas. I purchased 3 tins because they have the inner seal which helps keep my tea's fresher than regular tins. You can also use the tins for snacks, for travel and they are a very easy to store. Great size, great price, pretty, double lid- I love it! These containers were the best with the double seal. The one thing that could even make it better is to have some without the enjoying tea label. Just a picture and more colors. I bought this so I can have my favorite lose tea at work with me without it getting stale and it works perfect! This is a great tin to store your teas in. I hope they come out with a bigger version. I buy large quantities of my favorite teas and use these canisters to make gifts for my friends and family. Also handy for a weekend trip. 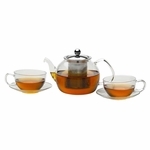 These are great, the older ones had plastic inserts and they worked very well and they actually improved on these newer ones, keeps tea very well with minimal space. Depending on the tea 4oz will not always fit but it's not a big deal to me at all. Double seal lids keeps your tea fresh. The tins are air tight and hold a surprising amount of tea. They are a great value and I highly recommend them. The inner seal makes this a great little tin for storing my teas. Quick, excellent service/delivery. Highly recommend. Great tins at an affordable price! I'm getting 10 more! This is a very well constructed tea storage container. It has an internal sealing lid and a tight fitting(but not difficult to remove) exterior lid. I was very impressed with the quality of this tin. This was my first order and I will be getting more of these in the future. You think that you're getting a nice sized tin when you order it, then you get it and realize that you've gotten more than you paid for. Seeing is believing, this tin holds a lot of tea!! I have 4 and plan on buying more since I like variety. 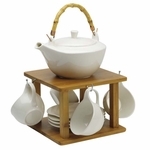 The price is reasonable making it easy to own multiples and not worrying that your tea will go bad. This canister does its job and its the perfect size. I've only had it for a month, but every time I open the lid I am welcomed to the delicious aroma of whatever tea it contains. 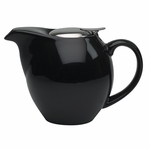 Perfect to store your loose leaf tea. If your looking for something ideal and practical then this is it. This is such a nice tin it would be a shame not to own several at this price. Just the right size to scoop from,the tight inner seal sets this one apart from any other storage tin at this price point and beyond ! 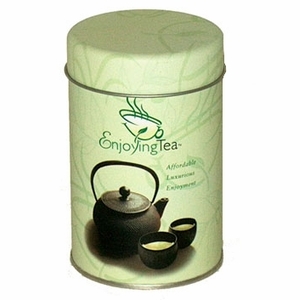 This tin hold 4 oz, protects your tea from light, & maintains freshness. The price is very reasonable and I really like the double inner lid. Since this tin is a bit wider, it makes it easier to scoop from. Great buy.